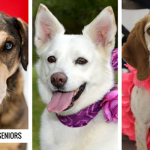 You are here: Home / Shelters & Rescue / Shylo the Sweet Beagle is Waiting For His Second Chance – Adopted! 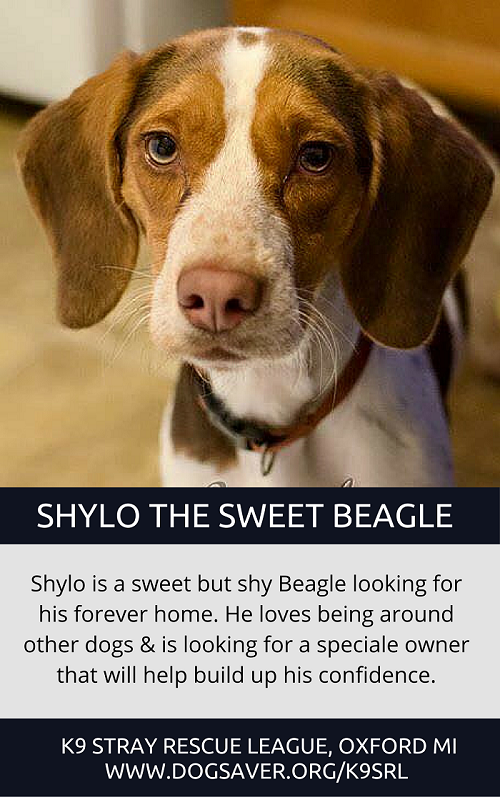 Shylo the Sweet Beagle is Waiting For His Second Chance – Adopted! Update: Shylo has been adopted. If you’re looking for a new best friend Shylo is your guy. He’s wonderful around people and other dogs but since he’s a bit shy he tends to get passed by at the shelter. But if you’re looking for a loyal & loving companion look no further – Shylo is your guy. Sweet little Shylo has been waiting a long time for his second chance. Since he’s shy it takes a little while for him to warm up to new people. He’d benefit from a dedicated owner that’s willing to help him work on his confidence. He loves being around the company of other dogs, and true to the Beagle nature he loves following his nose. It’s recommended that he be leashed at all times or go to a home with a fenced in yard to keep him from wandering off. If you’re looking for a super sweet companion to be your new best friend Shylo is your guy. Shylo is available for adoption through the K9 Stray Rescue League in Oxford, Michigan which is about 45 miles north of Detroit. 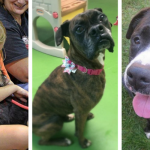 If you’d like to meet Shylo or any of their other wonderful dogs you can check out their adoption events every Saturday throughout SE Michigan (here’s a list of upcoming events) or visit their kennel which is open 5 days a week. 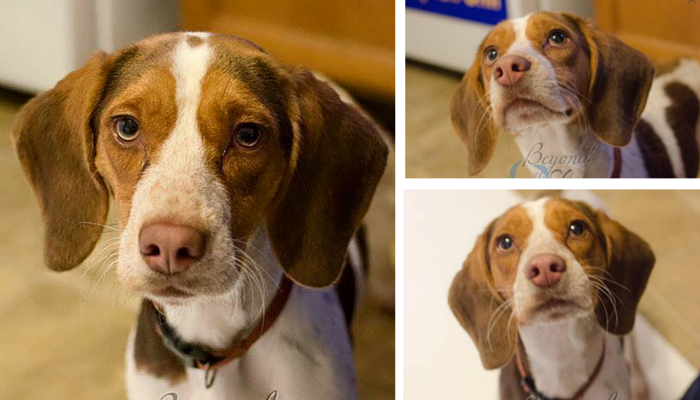 Shylo is a young adult Beagle mix boy who weighs about 30 pounds. He earned the name Shylo because he does tend to be shy and submissive with new people and situations at first. Once he knows you he is good as gold! 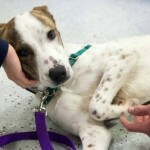 He is sweet and gentle with people, and he is great with other dogs. Plus is that face and those just the most adorable sight you have ever seen?!?! 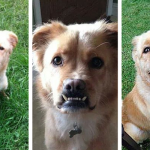 Let’s help find Shylo the special home he deserves. There’s just something about a sweet, beagle face, don’t you think? They are such cute dogs. I hope sweet little Shylo finds the perfect home for Valentine’s Day!